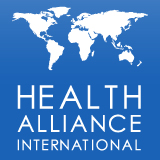 Health Alliance International began in 1987 as the "Mozambique Health Committee," formed by a group of North American doctors and nurses who had worked in Mozambique during its civil war following independence from Portugal. The organization’s early work focused on supporting the new national government in the face of attacks from an insurgent group on roads, schools and health clinics, attacks that set off a civil conflict that lasted for more than 15 years. The Mozambican Health Committee supported the government’s struggling primary health care system, and provided health care for refugees in the central region of the country. International" and began looking for ways to improve its partnership with the Ministry of Health and build a greater community of partners researching and training new leaders in global health through programs at the University of Washington. 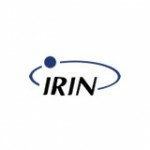 In 1999 Health Alliance International (HAI) began to support another new government emerging from conflict: the government of the newly independent Timor-Leste (formerly East Timor), with a focus on improving maternal and newborn health. We have since added programs in Côte d’Ivoire and Sudan, and have worked on smaller projects at various times in other countries.